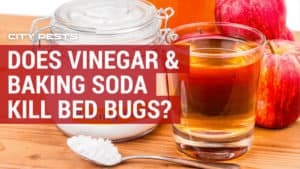 If you have bed bugs and want to get rid of them at all costs, you have likely heard of people using dryer sheets for bed bugs. 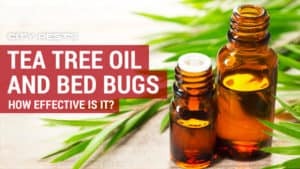 This guide takes a close look at that strategy and teaches you everything you need to get rid of bed bugs and achieve peace of mind. If you are wondering how to get rid of bed bugs with dryer sheets, you can’t. The most you can do is place dryer sheets between your mattress and sheets and in front of your headboard to mask your scent. While using dryer sheets for bed bugs can mask your scent, it won’t get rid of them, and it’s only a temporary solution. 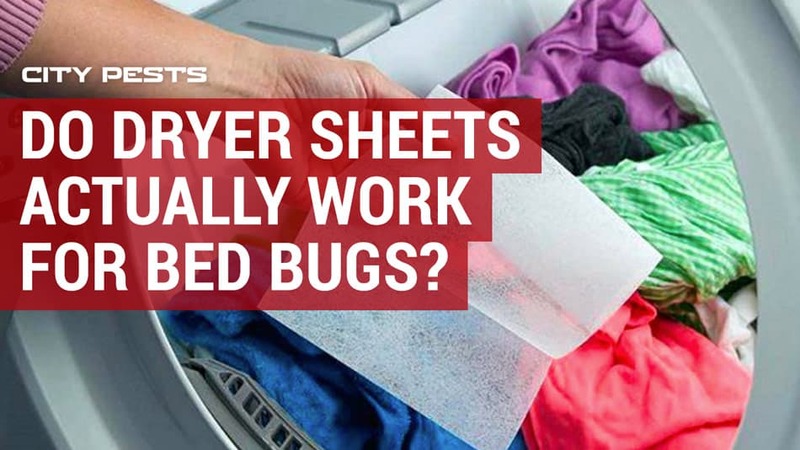 People who only rely on dryer sheets for bed bugs might think they have contained the problem because the bugs stop biting for a while. The situation can get much worse over time when the bed bugs get desperate for food. Bed bugs can get into your home no matter how safe or clean you are. Once they get inside, they will create a nest near a host for easy access to a meal, and they feed about once per week, using your scent and body heat to find you while you are sleeping. Because they want to avoid detection, they try to bite when you are in the deepest state of sleep, reducing your odds of noticing them. You are not alone if you are asking how you can tell if you have bedbugs in your home. 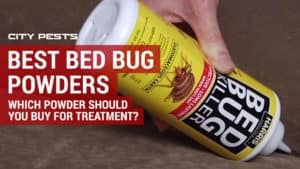 Bedbugs are excellent hiders and go out of their way to avoid detection, so spotting them in the early stages is next to impossible unless you are trained. You could notice a line of three bite marks and some red spots on your skin if you have a bedbug infestation, but not everyone shows bite symptoms. Bedbugs often leave small blood stains behind once they finish a meal, which you can use to detect them. When you want to know if you are the target of these invaders, look for red stains on your sheets, blankets and mattress. Your new friends only like to come out when they know you are not awake, but you can still catch them in the act. Set your alarm for the middle of the night, and keep a flashlight near your bed so that you can take a look. Get up the second your alarm goes off so that the bedbugs won’t have enough time to retreat before you spot them. Shine your flashlight on your sheets and the seams of your mattress, and you will likely spot them. You need to know what bedbugs look like if you would like to have any hope of seeing them. When they have not yet fed, adult bedbugs are flat and brown, but they become round and red after a fresh meal. If you ever see a bedbug, remember that they are about the size of an apple seed. If dryer sheets are not the answer for which you have been looking, how can you rid your home of bed bugs? Getting rid of bedbugs requires you to know where they live and how they behave when looking for food. Although bedbugs will nest anywhere that is out of view, the mattress is one of their favorite spots. They will crawl out from your mattress and into your bed to make their move, and you can stop them at the source. Remove your sheets, blankets and everything else from your bed, and cover your entire mattress with a mattress encasement, sealing it with tape. You must then shake off your blankets and pillows to ensure no bedbugs are hiding in them. Covering your mattress in plastic is a good start but won’t prevent additional bedbugs from getting onto your bed, and that is where double-sided tape comes into play. Begin by placing the double-sided tape on each leg of your bed. While you could catch some bedbugs, most of them will avoid the tape and have trouble getting to your bed. 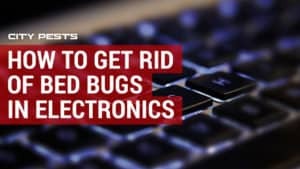 This step will make it much harder for bedbugs to find you at night, and you are that much closer to your goal. Check the tape each night to make sure it’s still in place if you don’t want to expose yourself to the threat, and you will sleep a little easier at night. Everything you do to safeguard yourself from bedbugs reduces the stress and helps you feel in control of the situation. If you want to improve your odds of success, replace the tape every week for the best results possible. You are making a lot of progress in your bedbug elimination effort, but you are not home free yet. Before you decide your bed is safe from the creatures, take a look at how your bedroom is organized. If your bed is close to a wall or dresser, bedbugs can use it to get on your bed even after you put tape on your bedposts. It might not be the most efficient layout, but you need to keep your bed several feet away from walls and dressers. Once you have taken all of these steps, bedbugs won’t have a way to access your bed on their own, but they can still hitch a ride on your clothes if you are not careful. Take off your clothes and check them before going to bed if you want to make sure no unwanted visitors are coming along for the ride. You have come a long way and are much closer to being free of bed bugs for good, and you only have a few more steps left. 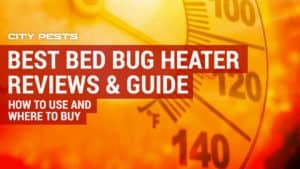 Bedbugs are resistant to many of the pesticides you can find at the store or online, but they still have a weakness: heat. 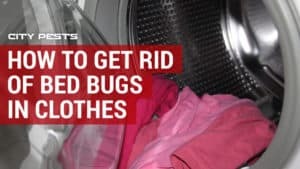 Place your blankets in the dryer on high for 60 minutes to kill bedbugs and their eggs, and you can then return your blankets and sheets to your bed without fear because you will know the invaders are dead. It’s now time for you to secure your bedroom and the other rooms in your home, moving to the final stage of your bedbug elimination plan. Diatomaceous earth is a powerful weapon in your fight against bedbugs and the issues they cause when they invade your home. You can buy a bag of diatomaceous earth at the store and sprinkle it on your floors and under your couch cushions. When you use it, diatomaceous earth sticks to the bodies of bedbugs and removes the oil that acts as a protective barrier. Once bedbugs lose their oily protection, they dehydrate and die between one to seven days later. Discovering you have bedbugs in your home is a stressful and terrifying experience nobody wants to face. 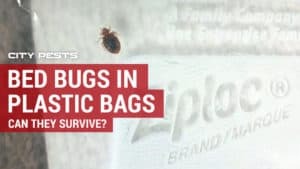 Many people hear bedbug myths and believe they are facts, and this makes it even harder for them to uncover a viable solution. 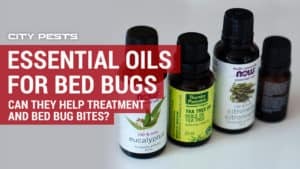 The steps you have just learned can go a long way to combat bedbugs and put your worries to rest, and they are most effective during the early stages of a bedbug infestation. If you don’t notice any improvements once you begin the process, consider reaching out to a pest control expert for solutions on which you can depend. PrevPreviousHow Long Can Bed Bugs Live in an Empty House?